Tollywood superstar Mahesh Babu has always been a family person. No matter how busy he is, he always makes time to spend time with family and whenever he is free he loves to go family vacations to foreign. 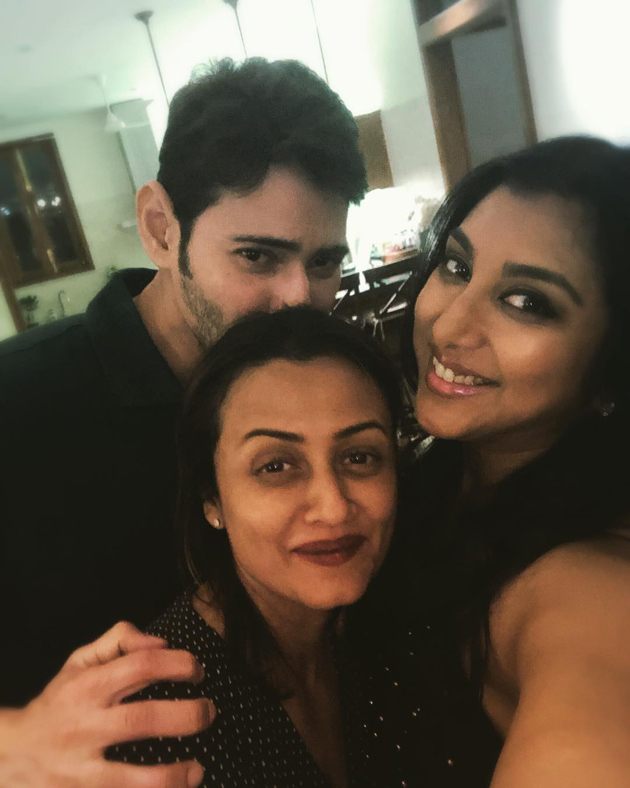 Mahesh Babu who recently got back to India from the long US schedule is spotted in a picture shared by his better half Namrata Shirodkar. Namrata shared a selfie picture of herself with her close friend when they attended a birthday party, last night. Interestingly, Mahesh is also seen in that picture hiding behind Namrata. Only a part of his face is viable. It is too cute to watch Mahesh covering his face behind Namrata. The duo ladies are looking gorgeous where Mahesh is looking handsome. On the work front, Mahesh is currently busy with the shooting of his upcoming movie 'Maharshi' under the direction of Vamsi Paidipally. Pooja Hegde is playing the female lead in the movie. Dil Raju in association with PVP and Ashwini Dutt is Bankrolling this project. Anushka To Be a Mom Soon?